Whenever people decide to move their home or office from one location to another, budget is always one of the key factors that need to be considered. Unless you have an overflowing bank account, you certainly want your relocation project to be completed in an efficient and cost-effective manner. You can do so by looking for the best and the most reputable removal company. However, it’s something that is easier said than done. In Melbourne alone, there are literally dozens of firms offering removal services. So let us cut to the chase and be straightforward about it, when it comes to the City by the Bay, one of the top companies is Prestige Moving. Our company has been around since 2002, so we have more than 15 years of experience in the removal industry. Such longevity is a testament to our passion and commitment to deliver top-notch services every single time. It has endowed us with enough experience and expertise to deal with every removal project, regardless of the scale and complexity. More importantly, our knowledge of the ins and outs of the business has enabled us to provide turnkey solutions along with the cheapest rates possible. We have established a sterling reputation by consistently delivering peerless service that goes along with prices that everyone can afford. No wonder our list of satisfied customers continues to grow and we now rely largely on word-of-mouth advertising. All these combine to enable us to offer the lowest rates in the industry. When some people hear or read Melbourne cheap movers they become skeptical simply because the word ‘cheap’ does not always have a positive connotation. It is a natural reaction for people to be doubtful about a cheap price being promised for first-rate services. But these days, better service for a lower price in a very competitive business is a reality. Moving home or office has become a cutthroat industry because there are multiple service providers vying for your trust and loyalty. On our part, we firmly believe that clients need not substitute quality service for a relatively low price so we offer both. We are actually more dedicated to providing value for money services instead of making huge profit. We know for a fact that revenue will automatically trickle in when we have repeat and new clients. There are other factors that come in to play and allow us to meet the budget of a vast majority of our clients. Our services are fast so you pay less for an hourly rate service. We have some of the most highly skilled packers and movers who work systematically to complete the job in the shortest possible time. Hence, you end up paying less for a quicker but equally efficient service. Since we only charge “door to door”, you won’t have to pay for travel time to and from our depot. Our rate only starts upon arrival of our team at your premises and ends the moment delivery of your goods is complete. Concurrently, our removal teams are backed by cutting-edge equipment that expedites their work. 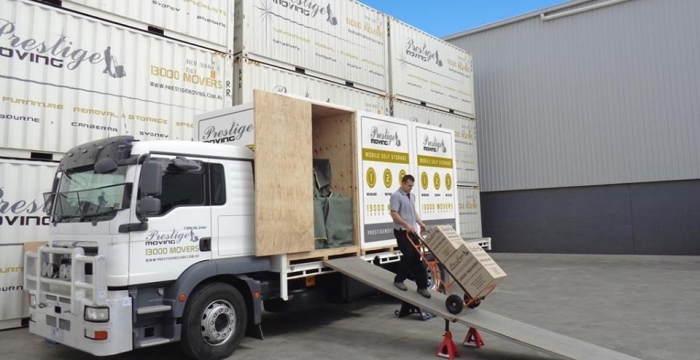 Broadly speaking, movers need three types of tools: lifting equipment such as trolleys; equipment for loading and access (door stops, ramps, hydraulic tailgate lift); and equipment to protect your prized possessions (blankets, pads, furniture ties/straps). We have all of them and they are always available and readily accessible to our professional removalists. Finally, our fleet of transport vehicles have been specifically altered and customised to ensure the safe transit of your goods. It doesn’t matter whether you are moving locally or interstate, or whether you are bringing along all the contents of your house or some heavy items like a pool table, piano, gym equipment, etc. You can rest assured that we got everything covered. We have weekly interstate services running to and from Melbourne and we guarantee that your belongings will be delivered securely to your new location. We also offer modern storage services that include mobile storage, onsite storage, shipping container storage and palletized/warehouse storage. Our rates are approximately 50% cheaper than other storage companies. We provide furniture blankets and tie downs at no extra cost, and all your items will only be loaded and unloaded once to save time and money. At Prestige Moving, it’s our obligation to eliminate the stress that goes with relocation projects. We understand that moving is more than just transporting your goods; you are moving your possessions, your family and precious memories. We care about your treasured items as much as you do. Contact us for a free quote and allow us to assist and guide you through the entire process from start to finish.